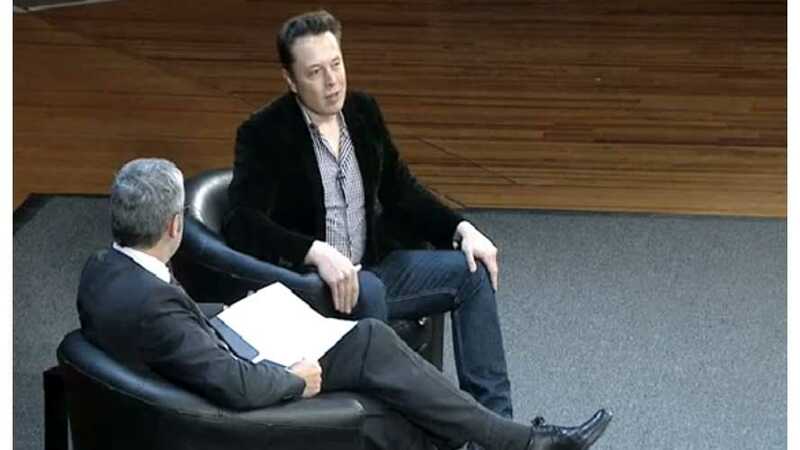 MIT (Cambridge, MA) hosted over an hour-long one-on-one discussion with a decidedly tired-looking, but still very compelling and coherent Elon Musk this past week. Musk discussed a wide range of subjects, including, to our interest, some interesting details on the Gigafactory plans (mentioning that, to meet their production goals and their vision for electric vehicle demand in the future, over 200 gigafactories would be needed), comments on space elevators (in which he observed that it'd be much easier to build a 2,000-mile bridge between LA and Tokyo, and we should probably try that first), and in the Q/A session with students, talked a little about using renewable energy (primarily solar) and storage batteries for the Supercharger system (with observations about enabling us to "still drive around" post apocalyptically). The MIT AeroAstro Symposium page is here. To hear the well-worthwhile complete discussion with Musk, click here.